Our large-scale solar hot water collectors are designed to save 50%-90% of the gas consumed by your boilers for space heating and domestic hot water generation. Hot water is generated during the day and stored in large insulated hot water storage tanks, to be used by your application anytime. Our collectors are made by Savosolar, the manufacturer of the world’s most efficient solar hot water collectors. Collectors are made in Finland and come with 10-year product and 25 year performance warranty. 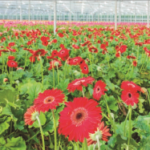 Poultry farms, greenhouse growers, dairy farms or any business with high heating demand can greatly benefit from our solutions. Read more below and let us know if you want us to help reduce your energy bills. 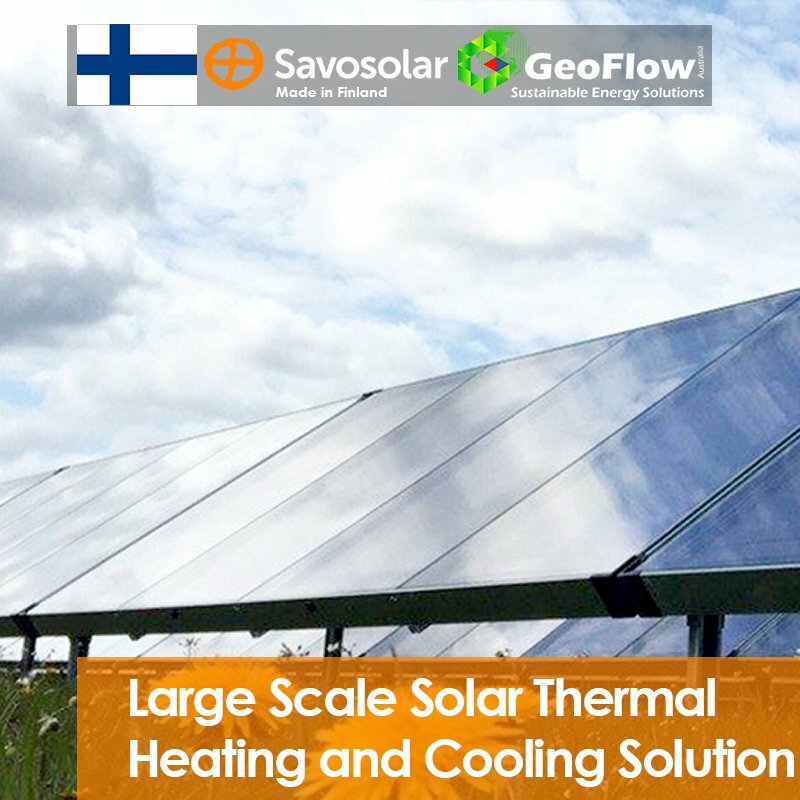 Why Geoflow/Savosolar Large-Scale Solar Thermal Heating? • QUICK PAYBACK: 50%-90% of your heating demand will be delivered by the sun. 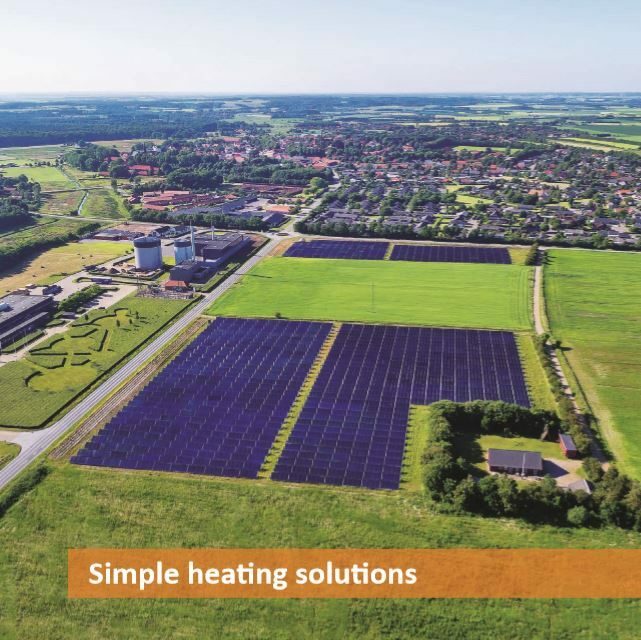 • HIGH EFFICIENCY: Our patented solar collectors are the most efficient solar thermal flat plate collectors on the market, so you can get the most heat from your available land or rooftop space. • HIGH RELIABILITY: Our solar collectors are made in Finland and are covered by a ten year product and twenty five year performance warranty. • EASY SOLUTIONS: We offer quick turnkey design and construct solutions which include collectors, piping, tanks and auxiliary boosting system. • HIGH QUALITY: Our collectors comply with Australian standards AS/NZS 2712 and AS/NZS 2535. • HIGH AESTHETICS: Our solar collectors are designed to be proud landmarks throughout their lifetime. • HIGH SUSTAINABILITY: Solar heat will remain your ongoing free energy source. 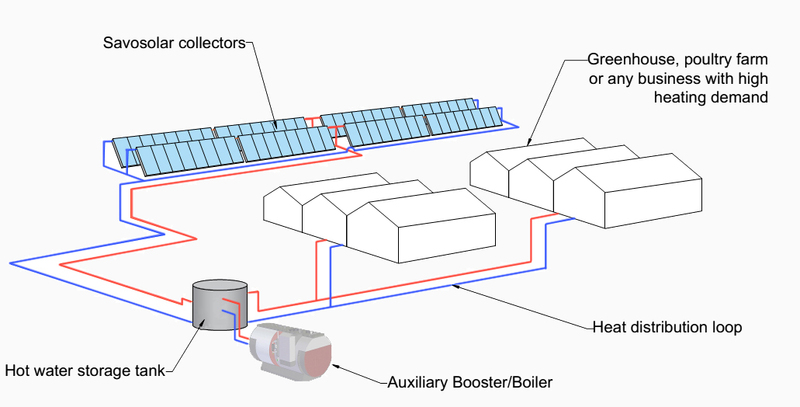 Auxiliary booster: Water heated by the solar thermal collectors is stored in the hot water storage tank and used by the customer when required (day and night). When there is insufficient solar irradiance, water heating is supplemented by an auxiliary booster/boiler to ensure 24/7 availability of hot water. Any small to large business with high heating demand will benefit from our solutions. 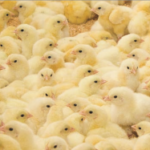 For example, greenhouse growers, dairy farms and poultry farms. 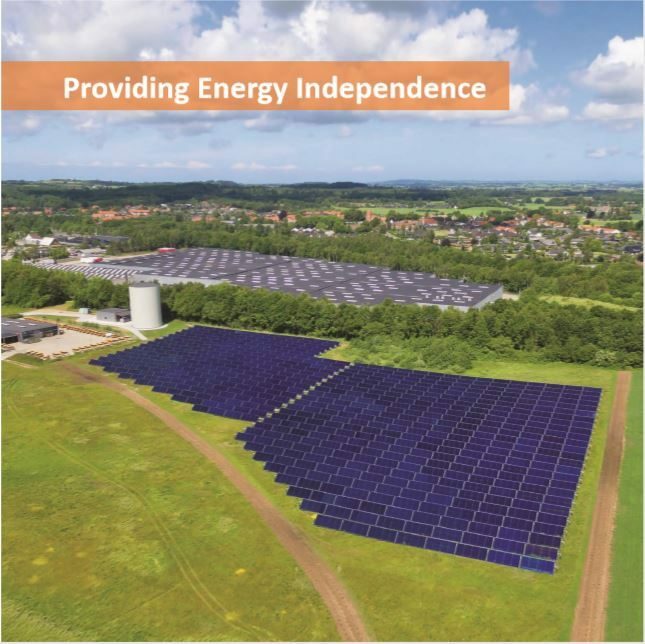 Savosolar’s collectors offer you the best possible investment by being the world’s most efficient flat plate collectors. Our collectors are 10-20% more efficient than other common collectors on the market. 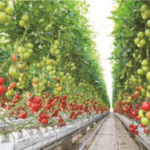 This efficiency will either supply more energy from an equal amount of installed collectors – or allow the required amount of energy to be harvested by using fewer collectors, requiring less land or roof space for installation. Our collectors are warranted for stability of performance for twenty five years. 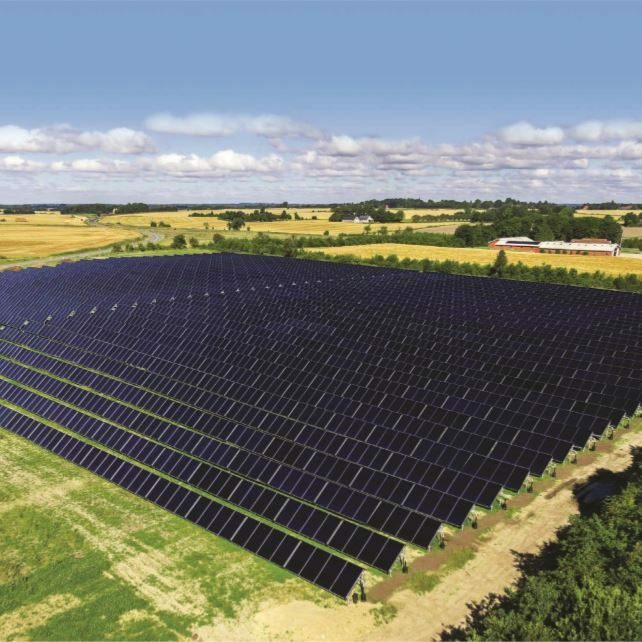 SAVOSOLAR’S COLLECTORS USE AN INNOVATIVE MULTI PORT EXTRUDED (MPE) PROFILE WITH A SPECIAL ALUMINIUM ALLOY THAT IS MORE COST EFFECTIVE TO PRODUCE. 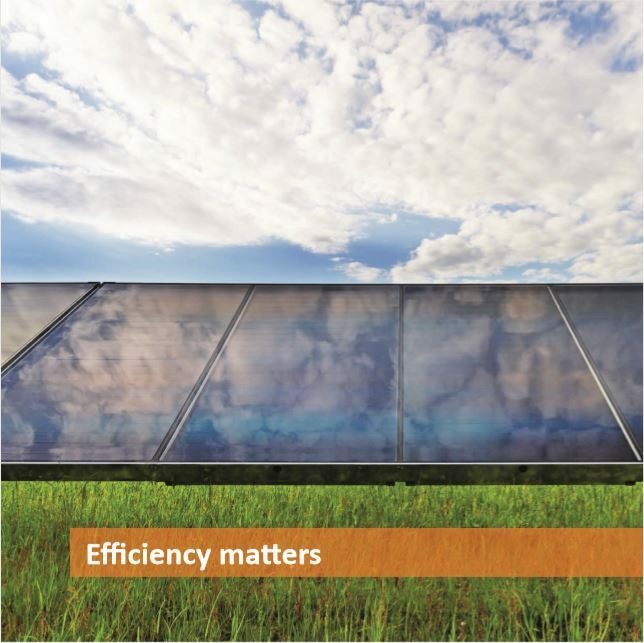 FOR THIS INNOVATION, SAVOSOLAR WON THE PRESTIGIOUS EUROPEAN INTERSOLAR AWARD 2011. Our patented coating technology is unique in the market and leverages the highly efficient MPE profile. In conventional absorbers, the heat travels across the surface until it reaching the central heat transfer fluid pipe, thus creating an inefficient high-temperature gradient across the absorber’s surface. heat transfer fluid below the absorber surface, thus delivering an absorber of over 99% efficiency. Our collectors utilize anti-reflection and low-iron glass to provide very high transmittance of solar energy. Our collectors make sure that the highest possible amount of heat is absorbed and transferred to the storage tank. 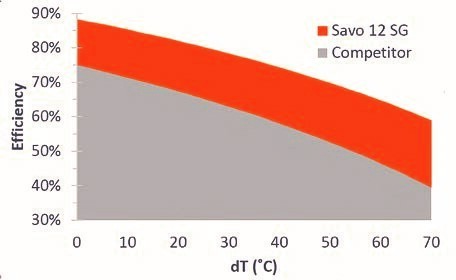 Savosolar’s MEMO coating process is a self-developed and patented PVD-PECVD coating, which takes place in a vacuum chamber and covers the absorbers with three ceramic nano-layers of superior thermo-mechanical and optical properties. The coating has an absorbance of 96% and an emissivity of 5%. 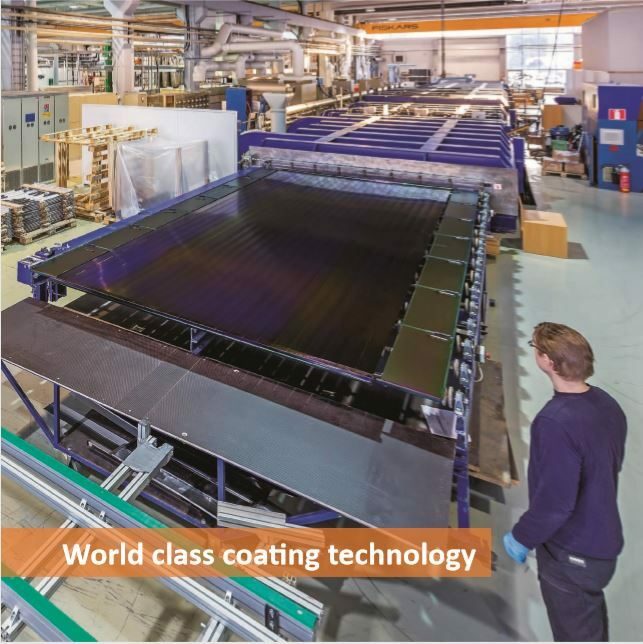 This coating process makes Savosolar the only solar company in the world able to build and coat large area direct-flow absorbers with a highly selective coating in one single piece. Absorbers as large as 3m x 6x are coated as a single piece. 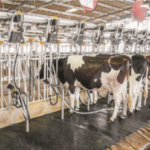 The highest collector efficiency and energy density on the market, which reduces space requirements, or maximises energy availability for a given space. Innovative aluminium absorber design and a patented coating that increases the number of production hours during the winter months, when the available solar thermal energy is most valuable. Minimised system energy losses and less collector shadowing due to innovative short factory integrated connection hoses. Integrated structural collector frame that obviates the need for heavy section external structural sub-frames, thereby reducing set-up costs and installation time. Low cost sub-frame support solution that is easily adapted to different site conditions. Long lasting low-iron etched anti-reflective collector glass. Virtually no service or maintenance costs. Low operational energy cost to improve business profitability. 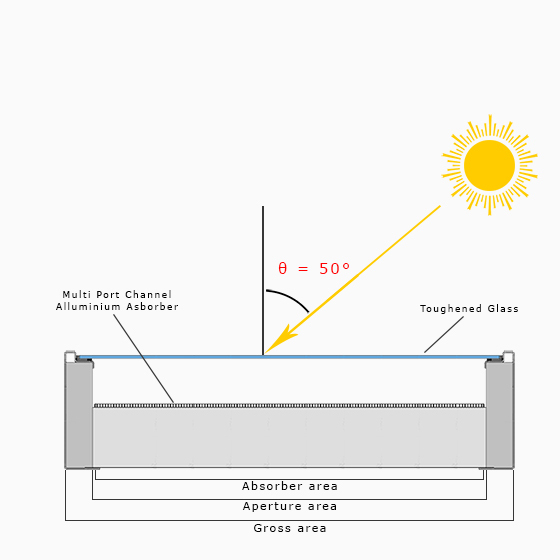 When the sun doesn’t hit the absorber face perpendicular, solar thermal/hot water collectors reflect away part of the solar irradiance, and this can result in loosing efficiency of the collector. In the case of conventional flat plate collectors, they can lose approximately 10% efficiency as a result of reflection from the absorber face. However, our Savosolar thermal collectors have a nano coated absorber that minimizes solar incident reflection, and maintains efficiency even at high incident angles. For instance, in the morning and afternoon when θ = 50°, our solar thermal collectors don’t lose more than 2% efficiency. 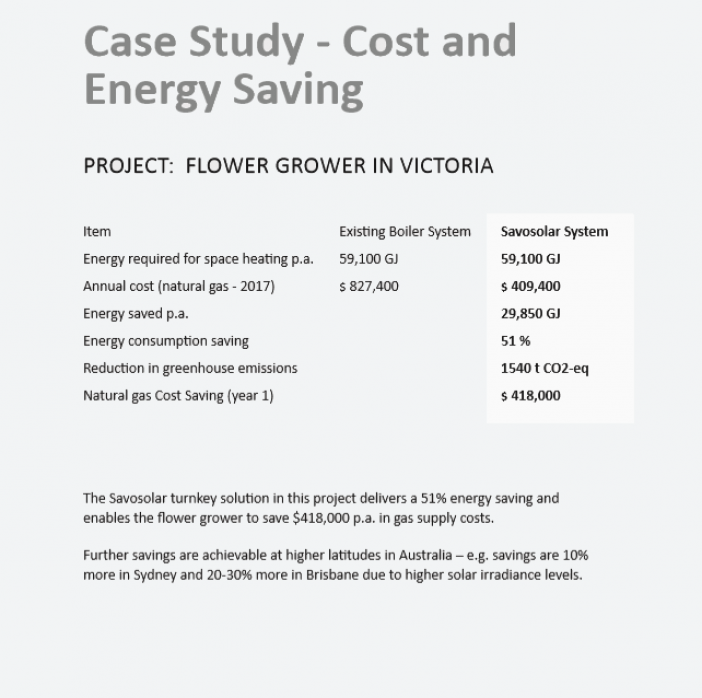 This is one of many reasons why our collectors are the most efficient solar thermal collectors on the market.